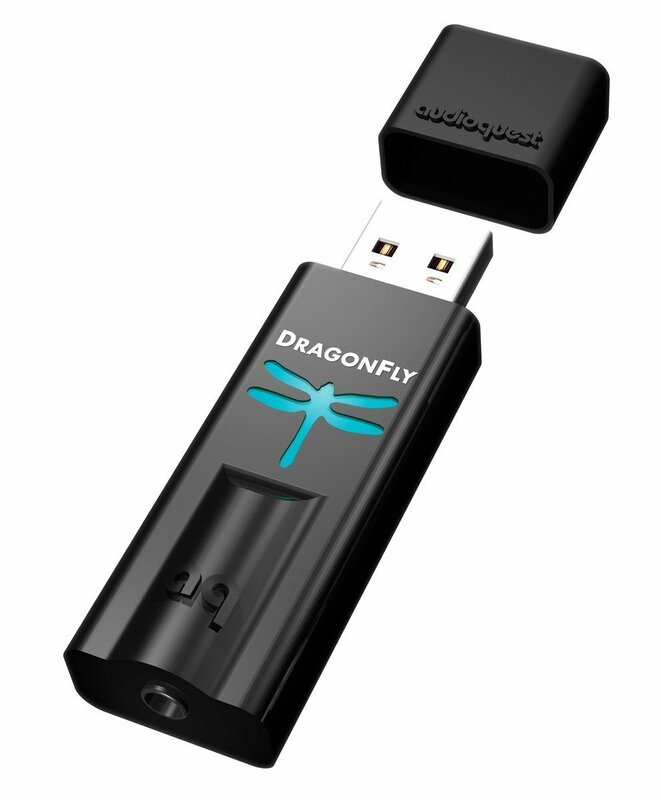 I’m back in the US for a few weeks, and I treated myself to an external USB DAC: the Audioquest DragonFly (version 1.2). It was getting good reviews online and the price was within reach. But, as ever, it was a concern as to how it would play with Linux. There is not a lot of information about the DragonFly and Linux/ALSA online, so here’re some notes on what I’ve found out (using Arch Linux). It works! The sound is truly leagues ahead of my (good) portable MP3 player (a Sony ICD-SX1000), and ahead of the built-in DAC on my ThinkPad (X220). All the problems I had stemmed from not yet understanding that the device demands to be fed S24_3LE data (24-bit, 3-byte Little Endian). If you have a software player that can supply this, or use a conversion in ALSA, all is great. The built-in LED indeed changes with the sampling rate: green = 44.1 kHz (CD), blue = 44.8 kHz (some streaming stations), orange = 88.2 kHz (2 x CD), pink = 96 kHz (Blu-Ray; see here). Note: if your file is 192 kHz, you’ll need to downsample 2 or 4 times. Both of these solution assumed that ALSA has placed the DF at hw:1,0 (Card 1, device 0). Use aplay -l to find the card and device number. Finally, to control the volume on the DF (the ‘analog volume control’ of the DF publicity), use alsamixer -c 1. Now mplayer, deadbeef and spotify will play any file and the DF light follows the original file sampling-rate every time. And the sound... Ahhhh!